The examples below includes sample data for an organization including phone, address, founders, and social profile links. 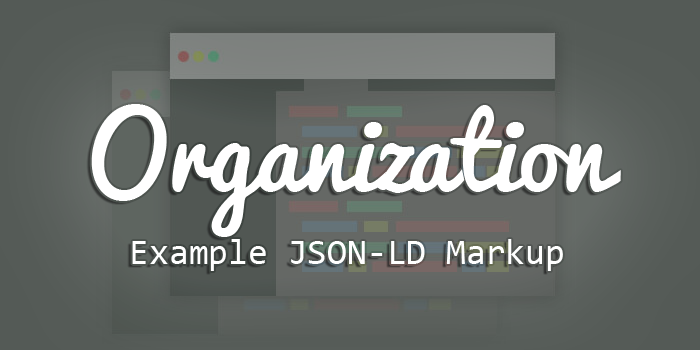 For larger organizations with multiple points of contact, you may want to add markup for that as well. 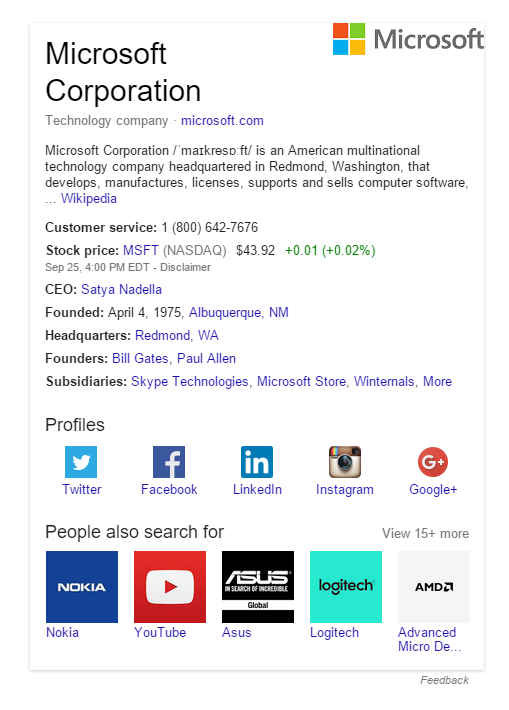 This is one of a few areas that Google actually specifies may help include information within the Knowledge Graph. Organization schema will propagate in the Knowledge Panel of Google’s search engine results (photo below). It is important to note that it can be difficult to get information into your businesses’ Knowledge Panel. It may also take several months for the information to present.